The Bay Area in Northern California is quickly becoming a popular destination for the region s active adults. Residents have more than just a prestigious address to boast, with miles of scenic hiking trails along the coast to unparalleled golf courses to an enjoyable year-round climate. Those seeking a more urban experience will enjoy proximity to three large cities, each with their own unique attractions and cultures. Economically prosperous and demographically diverse, active adults have plenty of Bay Area 55+ communities from which to choose. Active adults who choose a 55+ community in the Bay Area can afford to be picky about what kind of community they want to live in, whether it be the sprawling, amenity-rich Rossmoor or the quaint and cozy River s Bend. 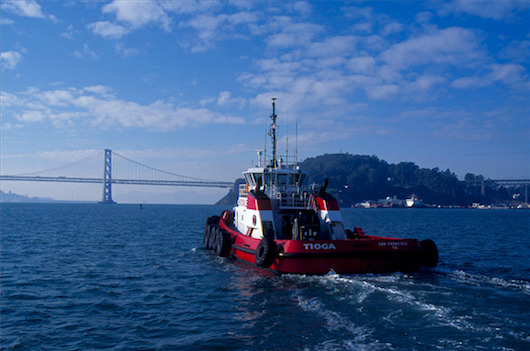 The Bay Area is located in Northern California and is comprised of nine counties. Although the specific boundaries of the Bay Area are not firm, they are typically seen as encompassing Napa Valley to the north, Contra Costa and Alameda counties to the east and Santa Clara County to the south. Active adults and retirees of the Bay Area enjoy its diverse landforms, from mountain ranges to the peninsula to the famed Napa Valley. Given its diverse geography, the Bay Area has a reputation for having one of the most complex climates in the country and is actually comprised of several microclimates. The areas near the Pacific Ocean, including San Francisco, experience minimal temperature fluctuations with cool, foggy summers and mild, wet winters. Farther inland, in the areas isolated from the ocean by the mountains, the summers are hot and the winter nights chilly. During the summer, temperatures in San Francisco and the inland areas can vary by as much as 40 degrees Fahrenheit, creating a diverse environment for Bay Area age-restricted communities. San Jose, in the southern portion of the Bay Area, experiences less than 15 inches of rain per year while the fertile Napa Valley to the north averages 30 inches per year. Just a few miles to the west of San Jose, the Santa Cruz mountains get over 55 inches of rain a year. Snow accumulation does occur frequently on the mountains but rarely on the ground. Active adults love the fact that the Bay Area has a sterling reputation when it comes to outdoor recreational and cultural attractions. During a mild day, one can ski in the morning, go to the beach during the afternoon and have dinner around a fire at night. Bay Area 55+ communities are also near several dozen summits for hikers while bikers will find hundreds of miles of trails to explore. Being along the Pacific Ocean also makes surfing and fishing very popular activities for residents of Bay Area active adult communities. Bay Area's age-restricted communities also have no shortage of cultural opportunities nearby. San Francisco is a cultural destination, offering over 40 museums, over 150 registered historic places, and the famous art galleries in the Mission District. San Francisco is also home to over 30 Michelin-rated restaurants, numerous theaters, and breathtaking views of the San Francisco Bay. Bay Area active adults communities are also near San Jose, which features an impressive number of restaurants, galleries, parks, and trails to enjoy. The Bay Area is also home to Silicon Valley, which is home to some of the largest companies in the world, creating an economically stable region. Napa Valley, the area in the northern portion of the Bay Area, is renowned for their vineyards, featuring over 400 wineries spread across 4,000 acres of land. Sports enthusiasts have ten professional sports games to root for. Whether its baseball, football, hockey or soccer, San Francisco or San Jose, Bay Area active adults will have plenty of games to attend. San Francisco is one of the most expensive cities in the country, with a cost of living that s 48.8% higher than the national average while San Jose is 39.6% higher. Taken as a whole, the cost of living in all of the Bay Area s nine counties are approximately 15% to 50% higher than the national average. California also has an 8.25% sales tax rate and, combined with their county rates, sales taxes in Marin and San Mateo counties are around 9%. Also, all private, local, state, and federal pensions are fully taxed. It s not all bad news for Bay Area active adult communities. Homeowners whose primary residence is in California can qualify for a $7,000 reduction in the taxable value of their property. There are also three tax relief programs for seniors in California for those with a low income, an option to postpone property tax payments, and to establish a property tax ceiling. Social Security benefits are also untaxed. There are several hospitals in the Bay Area that 55+ residents can choose from. The UCSF Medical Center in San Francisco is one of the best in the region and was nationally ranked in eleven specialties. Also, the John Muir Medical Centers in Walnut Creek and Concord are well-known for orthopedic and diabetes centers. Active adults in San Jose have access to the Stanford Hospital and Clinic, associated with the renowned university and the El Camino Hospital in Mountain View. St. Joseph Health in Napa Valley is one of the Bay Area s premiere cancer care centers.